A special way to save. Apart from your mortgage your biggest weekly expense is probably your supermarket spend. My case study for this article was my local Woolworths supermarket and a local family of four. In these days of intense competition, it can be assumed that all supermarkets are similar. A yellow ticket indicates specials in every aisle. 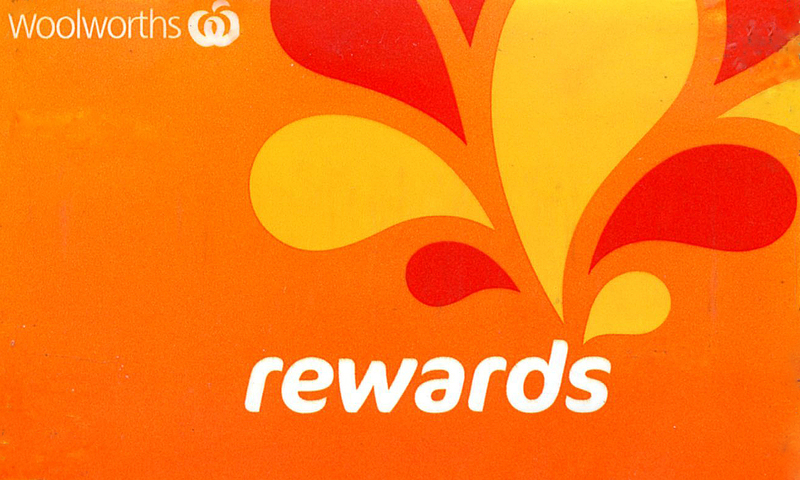 I must admit that I am a card-carrying Woolies rewards card holder. This awards me one point for every dollar spent. When I reach 2000 points I receive $10-00 of my next shop. My much used rewards card. That is only a ½ % discount, virtually nothing, with the above-mentioned family receiving only a $1-50 discount on their weekly shop, which averages around $300. However, Woolies regularly offer double and triple points for limited shopping periods. They also offer up to 250 points on selected products. As a rewards card holder, I receive weekly emails on specials. My case study listed 35 items on special during the weekly promotional period. The normal price of the 35 items listed was approximately $210-00. If you purchased all the specials you would save approximately $62-00. A range of specials which saved me over $9-00. Very worthwhile if you actually need the products on special, or they are products that you normally buy and if they are not a perishable product a small stockpile can give worthwhile savings. Frozen specials have their own freezer. I have never paid full price for coffee for several years. There are always specials in the confectionary aisle. Confectionary items are not must buy items but when your favourite chocolate is half-price – indulge yourself. Look upon it as half-price calories. Who can resist half-price chocolate? The one area of shopping I don't normally buy specials from is the fruit and vegetable section. If you intend to use the product within a couple of days you will save, although it may be a guide to what to cook for dinner that night. Part of the vegetable section. If you coordinate your shopping around specials and promotional offers you can make a worthwhile difference in the cost of your weekly shop. An interesting concept for an article! Thanks Neil. Only problem with WW in the Yarra Valley and Monbulk, is lack of variety of stock to choose.